Spaghetti squash is versatile, cheap and so delicious. Learn how to roast spaghetti squash in the oven; it’s so so easy! 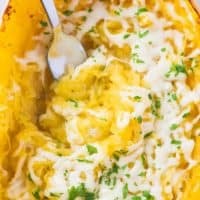 Spaghetti squash is one of my favorite foods. It’s perfect as a pasta substitute, and is easier than you’d think to roast. 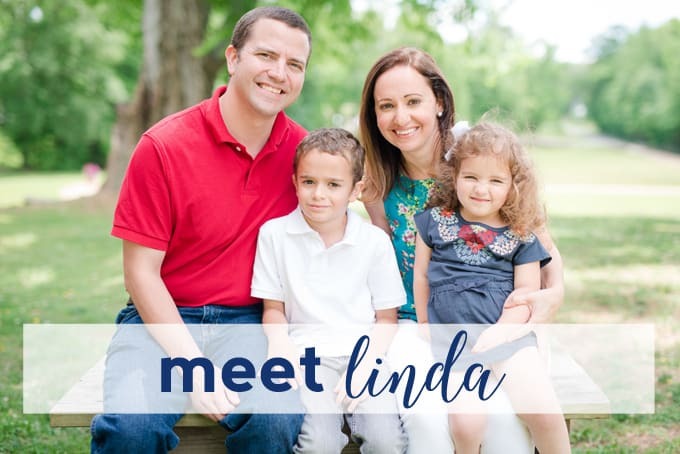 I’m sharing the full how-to today, then sharing favorite spaghetti squash recipes from some top food bloggers. Spaghetti squash can seem intimidating, but it’s really not. You just need a little bit of time and a few basic ingredients. Full recipe card is below! An easy guide to roasting spaghetti squash! 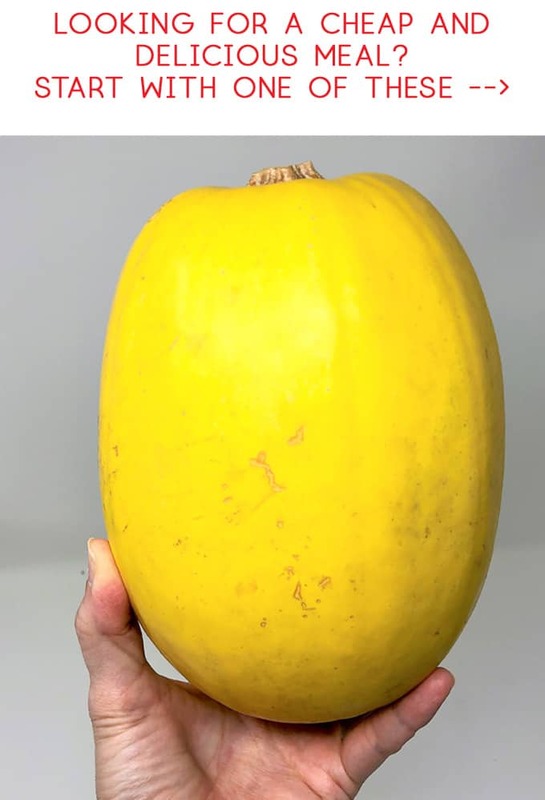 Take your spaghetti squash and cut off both ends so you have a flat surface. Cut your squash in half lengthwise. Remove seeds. Add your olive oil to your squash and, using your hands or a silicone brush, thoroughly coat your squash with olive oil. 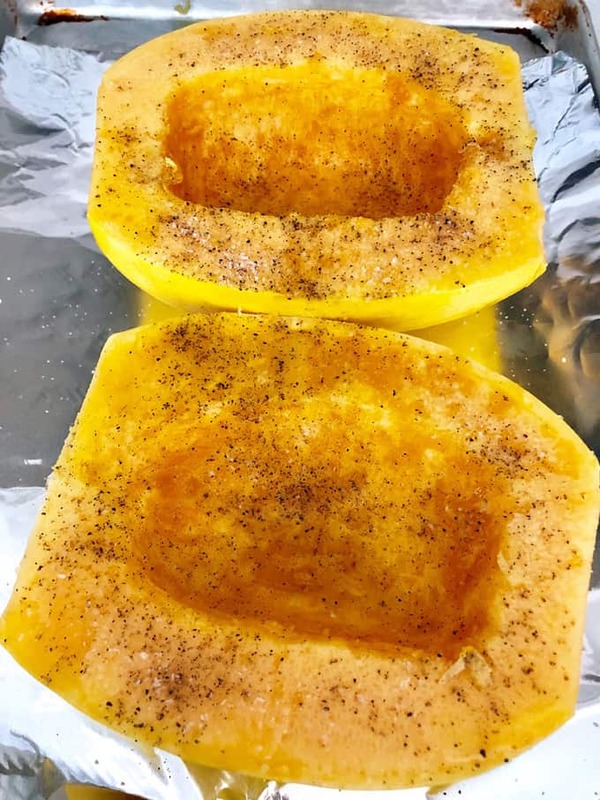 Add salt and pepper to your squash, then place squash face-down (so that the liquid runs out of the squash onto your baking sheet while cooking). Roast for an hour, until squash is easily pierced with a fork. Let cool. Then use a fork to scrap insides of squash into a bowl. Top with your favorite ingredients. 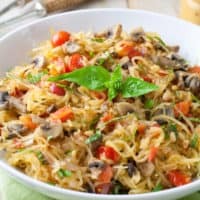 Some of the best spaghetti squash recipes from top bloggers! Tender spaghetti squash topped with a quick-simmered tomato sauce & creamy, cheesy gratin topping. So full of flavor you'll want to make it again and again! 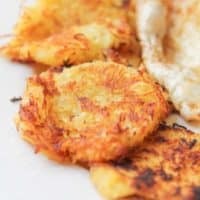 These Spaghetti Squash Hash Browns are a brilliant way to use up your leftover cooked spaghetti squash. A super easy low carb, low calorie recipe that is both gluten free and paleo. French Puy lentils, onions, peppers, and goat cheese combine to make a flavourful pasta sauce. 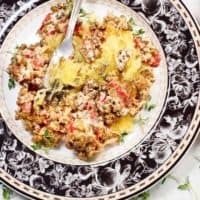 For this healthy lentil recipe, I used spaghetti squash for a low carb dinner. 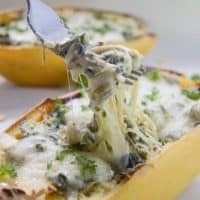 Spaghetti Squash Boats with Mozzarella Cheese, Garlic and Parsley. 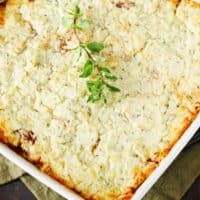 A delicious side dish or vegetarian meal. Add in veggies to make it even more filling! 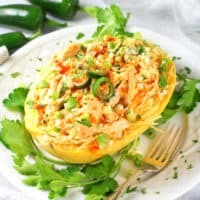 Instant Pot Spaghetti Squash Buffalo Chicken (Low Carb) – a lightened up, mouthwatering recipe you need to experience immediately! It’s low-calorie, low-carb, full of nutrition, loaded with lean protein and it tastes insanely delicious! 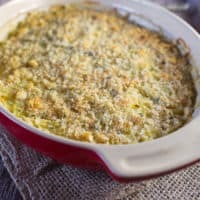 Turn spaghetti squash into the perfect comfort food with this Spaghetti Squash Gratin. 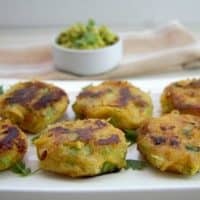 Spaghetti squash fritters make a great appetiser or healthy snack for the kids. There is no egg or flour in them making them a great low carb and grain free recipe. 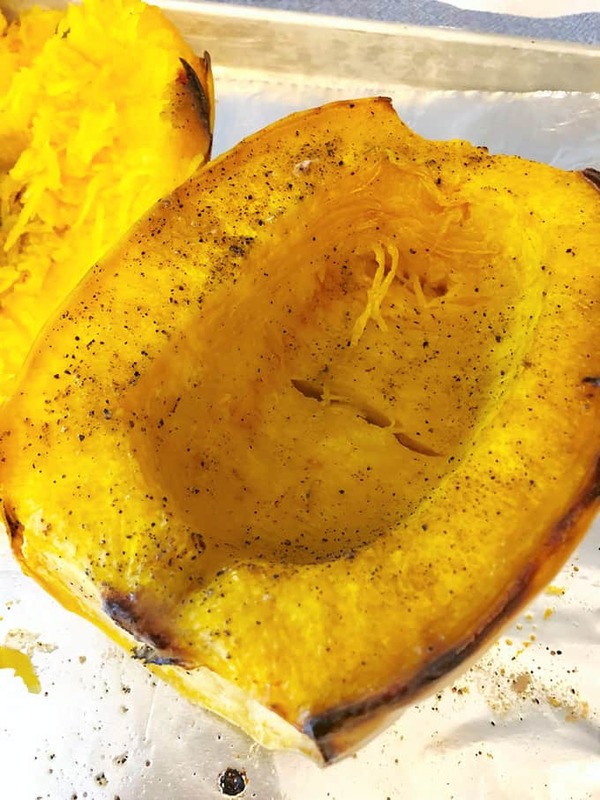 Thanks so much for reading all about How to Roast Spaghetti Squash! Have a lovely day!